Who’s writing? Who is writing through me while I write? Who is recounting me as I recount? And how does the world enter, from the narrow embrasure of the ego, prisoner, prisoner of its limits, of the boundaries that describe it and me? And how does it spread almost to infinity, in containing the past and its ghosts, the soul of the one who recounts? We are many at the moment in which, alone, I write. RUMORE DI ACQUE is a cry against the indifference and impotence of humanity faced with the tragedies in which it is at once victim and slaughterer, such as the one which has made a cemetery of the Mediterranean. SLOT MACHINE seeks to reflect itself in the chasm of nothingness, that Nothingness which gamblers look for obsessively in front of the machine: not money, mind you, they’re not looking for money but for a ditch where they can drown suffering and humiliation. AUNG SAN SUU KYI’S LIFE UNDER HOUSE ARREST dialogues with Brecht and talks with him on the need to “be good”, which is to say rigorous, heretical, against the grain: it is a luminous song to hope, well aware that every “true” hope, if it is to be “true”, must first have known the lightless abyss of desperation. Marco Martinelli, together with Ermanna Montanari, Luigi Dadina and Marcella Nonni, established the Teatro della Albe in 1983; the company is based in Ravenna and presents its shows all over the world. 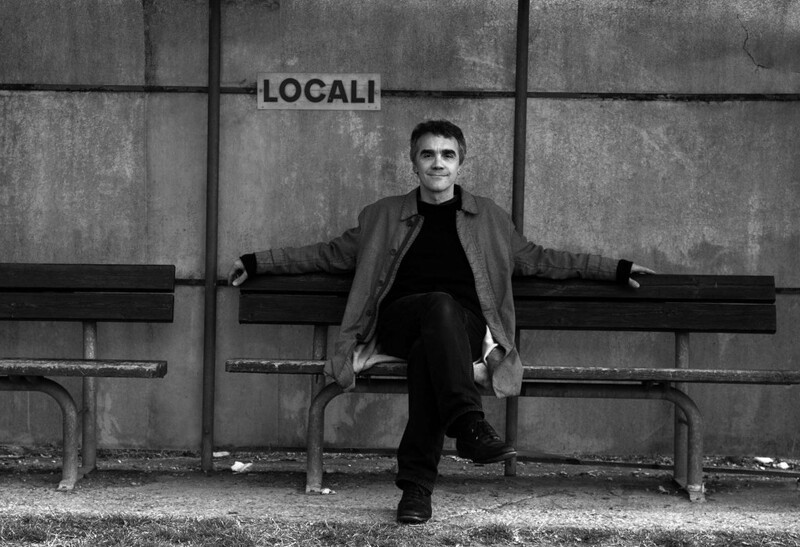 Martinelli – known for authoring original texts, as well as for rewriting classics – is one of Italy’s most acclaimed playwrights and directors: he has been honoured with international awards, of which 4 times the Ubu Award for writing, directing and theatre pedagogy, the Mess Award in Sarajevo and the “Achievement Award” of the Journées Theatrales de Carthage. Martinelli’s playwriting is popular and cultivated, simple and profound, thought-provoking and emotional at the same time, following into the footsteps of the highest theatrical tradition, from Aristophanes to Brecht. Some of his latest works include: Rumore di acque (Water noise), a surreal and grotesque monologue, an “oratorio for the sacrificed” that from its debut in 2010 onwards has been staged in Italy and abroad in prominent theatres and festivals and has been translated into English, French, German and Rumanian and also put on by other theatre groups in France, Germany and in the USA. Pantani deals with life and death of the extraordinary Marco Pantani, the Italian road racing cyclist champion (a co-production with manège.mons, Belgium); with this play he won the Ubu Award for “Best New Italian Play (or Dramaturgical Research)”. Vita agli arresti di Aung San Suu Kyi (Life Under Arrest by Aung San Suu Kyi), inspired by the life of the Burmese leader and Nobel Peace Prize laureate. A phantom islet between Europe and Africa, situated in a strip of sea that has been the scene of devastating tragedy over the past fifteen years. On this volcanic and seething piece of earth, adrift like a raft, there is only one inhabitant, a general with demonic features and flashing eyes. In relations with an equally phantom “Minister of the Inferno” he practices the “policy of welcoming”: the islet is inhabited by the invisible spirits of the dead and the lost at sea, the rejected, whom the general welcomes and stows on his island-raft. Each of them is a “number”, deaths and lives reduced to statistics. In the general’s rambling talk, the voices of those invisible ones speak through him. This “oratorio for the sacrificed” has been enriched by the Fratelli Mancuso’s powerful voices of ancient satyrs that seem to howl the pain of humanity from the depths of an abyss. Slot Machine is a swirling monologue that tells of the dizzying fall of a gambler, of his drowning in the game of chance, where every bond of affection is sacrificed on the altar of nothingness. The gambler comes to a bitter end: in his sick dream of power he talks wildly alone from the bottom of a ditch in the countryside, struck to death by his loan-sharks, at once victim and torturer of himself. This work, without unity of time or place, speaks of fifty years of Burmese life, from the sacrifice of Aung San Suu Kyi’s father which directed her life, right down to her choices, in different times and places, often returning to that house where the fighter for peace was confined like a mystic, alone with her unconscious, her own dreams and ghosts. The text dialogues with the Brechtian scepticism which declares that one cannot be good where violence exists and that the land which needs heroes is damned. Here instead we see the scandal of goodness: if we want to change the world, goodness is a necessary heresy.